How to stop light flashing on air conditioning unit? Air conditioning is one of the most essential requirements for every house in Singapore and if you get any kind of complication or problem in your air conditioning unit then you start feeling bad because of that problem. 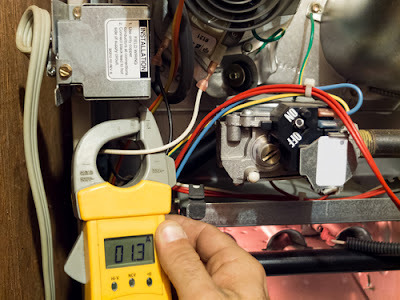 Talking about the problems related to air conditioning unit, one can face a lot of problems in it and light flashing is one of the most common problems that many people face on regular basis. If you are in same situation and you are also dealing with light flashing problem then I can help you in that situation. Here, I am sharing some tips or suggestions that can tell you How to stop light flashing on air conditioning unit in easy ways. Restart circuit breaker: Most of the time when your air conditioning unit stops working, then you your Aircon start blowing warm air and you get light flashing on it. If your air conditioning unit has light flashing because of this problem then you wouldn’t get any trouble in correcting it. In order to do that you just need to restart the circuit breaker of your AC unit. In order to do it properly it is essential that first you switch of the circuit breaker, you wait for few seconds or a minute and then you start it again. If you air conditioning unit does not have any other problem then it shall start working properly and you will see no light flashing in it. Check the coolant condition: Low amount of coolant is another main cause of light flashing in air conditioning system. If you will have low coolant or refrigerant in your air conditioning unit, then it will not only reduce the cooling, but it will cause the problem of light flashing as well in your air conditioning system. So, if you get this problem in your aircon system because of low coolant then you can simply ask your technician to check the coolant condition and you can ask him to refill the coolant for you. And when you will have it refilled then you will not have light flashing problem in your air conditioning system and you will get better cooling as well. Try the test button on remote: If you have a test button on remote of air conditioning system then you can try pressing that test button to identify the reason of light flashing. When you will try the test button then you will see some error code on your remote and you can check those error codes to identify the reason of light flashing and then you can try a solution also accordingly. And if you do not have a test button on your remote then you can try some other combination such as temp up and temp down button together to get the error code the problem and after that you can find a solution of the problem on the basis of error code. Check your multi system: Sometime multi system air conditioning also create problem of light flashing and you get no solution for that. This problem might occur in your air conditioning unit if one of the system of your multi system ac unit is not working properly. Also if one of the system is finishing an assigned mode then also it can create the light flashing error in you Aircon unit. In this situation instead of doing anything else you can simply wait for some time and once assigned task is finished it will stop the light flashing. If you notice its keep on going for a very long duration then you can simply shut the power from all of your system and then you can reconnect it after some time. When you will do this then ideally it will solve the problem for you. Check the filter of your AC: Just like the coolant air filter can also cause the problem of light flashing in your air conditioning unit. If you will have a dirty or very old filter in your air conditioning system then you will get a lot of problems or issues in your AC and light flashing is one of those issues. Also you will not get the proper cooling because of that dirty filter and you will get not good result also with it. So, if you don’t want to have this issue in your air conditioning, then I would strongly recommend you to change your air filter every month. Check the manual: Sometime a minor mistake or problem may also cause the issue of light flashing in your air conditioning system. If you get this problem in your air conditioning system and you are not able to solve the issue with any of the solution that I shared above then you should check the manual of your AC. Ideally, you should check the manual at first stage only, but if you miss that part then now is also not late and you can check the manual now. When you will check the manual then you might find some solution of the problem and you can try one of those solutions to get rid of light flashing issues. In case you notice that none of the above solutions are working for you and you still notice light flashing error in your air conditioning system, then I would not suggest you to make any more tries in it. In this situation I would strongly recommend you to contact technicians for servicing of your air conditioning system. If you will do any more hit and try in it then you might create more damage and cost of repairing can go even higher. But if you will call a technician then he will not only find the problem but he will solve the issue as ll. Also, he can do a complete servicing of your air conditioning so you can get better and effective cleaning with it in easy manner and you will be able to have a comfortable environment again with minimum trouble.